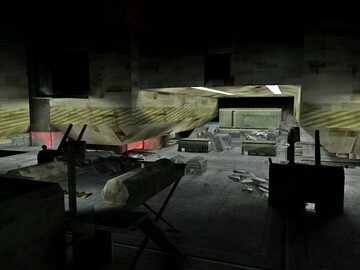 Description: A shipping facility that has gone dark. Story: A map that takes place at a transition location for pelicans. Unfortunately an EMP has caused the facility to go dark. A team of 16 were assigned to fix the problem until they began arguing about the ways how to fix the issue. Content: Custom bsp, stock scenery and weapons. Gameplay: All variants work, multiple spawn locations on both sides. 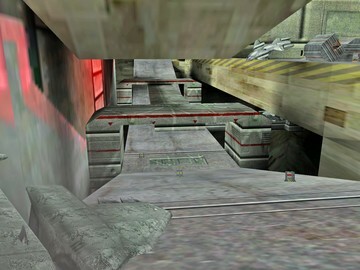 Passageways include going though the main building, sides of building, in waste tunnels, and the two-interconnected bridges that are under the main building.